Early life of Abraham Lincoln: Abe was the second son of Thomas Lincoln and Nancy Lincoln. At age 23, Lincoln and a partner bought a small store in New Salem, which started his political career. Before the election, Lincoln was captain in the Illinois Militia during the Black Hawk War. 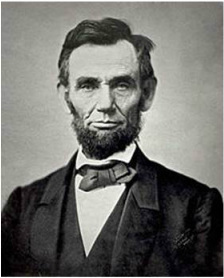 Bibliography: Abraham Lincoln, the sixteenth President of the United States., Http://www.britannica.com/bps/media-view/112498/1/0/0. Early life: Ulysses was born in the city of Point Pleasant, Ohio April 27, 1822. His family moved to Georgetown in Brown County, Ohio. His father Jesse Root Grant and his mother Hannah were both natives of Pennsylvania. His father Jesse worked in the tanning business for the father of John Brown. 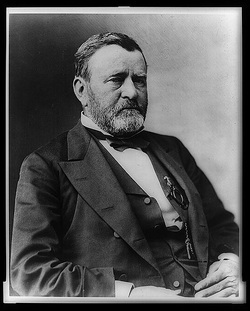 Civil War General: As the Civil War reached its peak, Grant sought to win control of the Mississippi Valley. In February 1862, he took Fort Donnellson in Tennessee, which was the first Union victory of strategic importance.